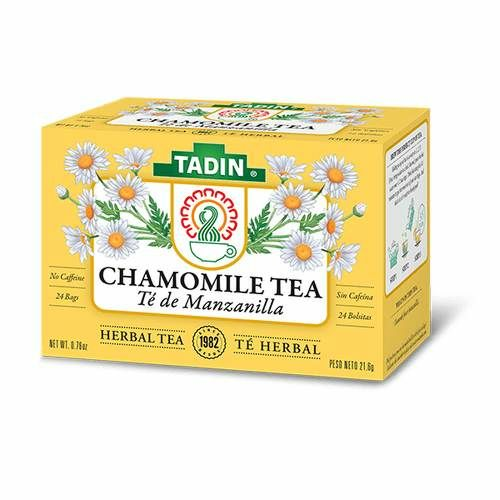 TADIN�s Chamomile, the golden champion of teas. Appreciation for its rich and exquisite flavor has been passed on from generation to generation. 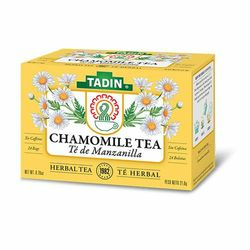 It�s absolutely marvelous how the delicate yet potent chamomile flower can provide entire families with such a delectable and soothing tea experience. Holding a cupful of TADIN Chamomile tea promises to deliver warmth and a moment of peace.